How effectively the Duque administration handles the ongoing implementation of the 2016 peace agreement with the FARC may presage the ultimate success or failure of his presidency. Colombians are particularly passionate about two things: J Balvin, the popular reggaetonsinger from Medellin and football. Some 60,000 Colombian soccer fans descended on Russia to watch their team play in the 2018 World Cup. Perhaps nothing unites that country more than watching James Rodriguez run up and down the pitch for 90 minutes. 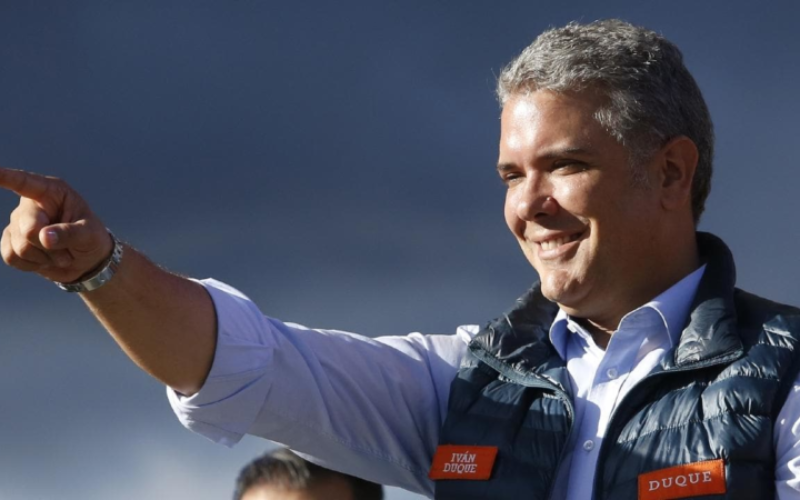 President-elect Ivan Duque, the youthful protege of former president and current Senator Alvaro Uribe, surely would have loved to see his country bring home the gold trophy. Although Duque emerged victorious in a runoff election held in June, the race was marked by divisiveness: Duque, a right-wing champion of free market orthodoxy, pitted against a former leftist guerilla, Gustavo Petro. Unfortunately, Duque won’t be receiving any help from his country’s soccer squad (Colombia lost to England in a penalty shoot-out on 3 July). Colombia has benefitted from a period of relative political stability for the last two decades. Importantly, the country has managed to steer clear of the economic populism which has visited its Latin American neighbors (the most obvious example being Venezuela). 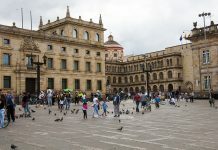 Colombia’s political establishment coalesced around the Partido Social de Unidad (Unity), which the outgoing president Juan Manuel Santos and Uribe co-founded in 2005. 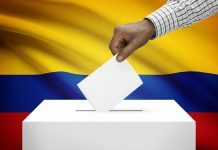 However, owing to certain differences of opinion over negotiations with the Revolutionary Armed Forces of Colombia (FARC), Uribe split off from Santos to found the Centro Democratico (CD), the party from which the incoming president Duque also hails. A dominant theme from Duque’s 2018 campaign was the supposed inadequacies of the peace accord reached in 2016 between the Santos administration and leaders of the FARC. Duque, a political disciple of the Uribe school, has voiced concern over what he views as the leniency afforded to former members of a rogue militant group that cost some 200,000 lives and forced 7 million (~15% of the population) Colombians from their homes. The Uribe wing is especially repulsed by the FARC’s permission to hold political office in Congress. Despite receiving less than 2% of the popular vote in March, the FARC now holds 10 seats in Colombia’s legislature. While still early to draw conclusions, perhaps there are parallels to be drawn from Uribe’s presidency from 2002-10. During his administration, Uribe championed law and order, furiously strived to present himself as being “tough on security” while embracing extradition of narco-traffickers to the United States as an effective anti-crime measure. Some analysts have suggested that Duque may serve as a sort of puppet president for Uribe. Yet however strong Duque’s personal opinions may be of the 2016 settlement, he will not be able to reverse the terms of the agreement by himself (nor are his political views on the matter especially black and white). Many elements of the peace agreement are enshrined in the constitution and will require more than a simple majority vote. Political observers anticipate that Duque will seek to build a coalition consisting of the right-wing Partido Conservador and the more centrist Partido Liberal. Despite Colombia’s political drama, the country is in the middle of a tourism boon. 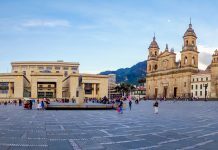 In part popularized by the Netflix television series Narcos, Colombia’s Medellin of Antioquia has seen an uptick in visitors from around the world. Young people also flock to Cartagena, the Spanish colonial port on the coast, to spice up their Instagram profiles. Even allowing for this “Narco-tourism”, armed gangs tied to drug trafficking known as “bacrims” continue to roam the countryside. Colombia’s political (and economic) future thus rests heavily on the fate of campesinos Colombianos, or its small-holder farmers. While many farmers grow perfectly legal crops like coffee – itself a tourist attraction – more farmers are increasingly turning to coca production, the primary ingredient for cocaine which in turn fuels the drug trade. Worth watching of the incoming Duque administration will be its handling of the implementation of certain rural development programs started under the Santos administration and codified by the peace agreement. As part of an an effort to bring the FARC to the negotiating table, the Santos government halted its aerial fumigation of coca crops. On the campaign trail, Duque suggested that he would restart the program immediately. It came as something of a surprise then on 26 June when the Colombian government announced the authorization of herbicide-spraying drones aimed at coca crop eradication. In just the past year, coca production in Colombia has soared. The US remains the primary market for Colombian cocaine and despite outsized media attention on the opiate scourge, cocaine use has trended up in recent years. This helps explain the Trump administration’s public rebuke of Colombia’s handling of the drug trade. As Duque seeks to deliver on his campaign promise of ramping up his country’s exports to the US, he may use coca eradication as a bargaining chip in future trade negotiations. Many analysts wrongly conflated the outcome of the peace settlement to a corresponding drop in coca production as FARC was heavily invested in the cocaine trade. A sort of feudalistic system operated in the Colombian countryside where the FARC either threatened noncooperative farmers with violence or engaged in outright extortion. However, since the peace settlement, instead of farmers moving to substitute their coca for alternative crops, the opposite has happened in a classic case of perverse incentives. As currently constructed, the peace agreement incentivizes farmers to grow coca. This is because farmers only qualify for monetary compensation if they were growing coca in the first place. Most farmers are thus reluctant to try their luck with alternative crops if it means throwing government subsidies away. In soccer, it pays to demonstrate patience especially in the early going. A team’s ball possession is a direct byproduct of accurate passing. So goes the peace process in Colombia. However, many Colombians feel like it’s nearing halftime and their country still hasn’t scored any goals. Take one example: Ley de Victimas y Restitucion de Tierras(LVRT), a victims and land restitution law first passed in 2011. The law was formed with the expectation that the government would compensate an estimated 4-6 million victims of both right-wing paramilitaries and left-wing guerillas during the 50-year civil conflict as well as return an estimated 5-8 million hectares of land seized by illegal armed groups. However, by mid-may 2018, the LVRT had restored ownership of just 300,000 hectares of land to its original owners, merely 4-8% of the original goal. Given the law preceded the peace deal by 5 years, many Colombians are understandably frustrated by such lackluster implementation. If Duque is serious about unifying the country, he must not forget the campesinos. Many areas of the country, especially the rural hinterlands, remain in a state of lawlessness. Despite FARC agreeing to demobilize, other armed groups including the Ejército de Liberación Nacional (ELN), a Marxist militia, and Clan del Golfo, a neo-paramilitary group, have exploited the FARC’s vacancy. In simple terms, the drug trade remains far too lucrative for Colombian criminals to abandon wholesale. It does not help matters that Colombia’s next-door neighbor, Venezuela, is heading for economic ruin. Several sources in the intelligence community have indicated the presence of robust industrial-style drug operations operating in the Venezuela borderlands. It would not be a surprise if Colombia’s outgoing president was complicit in nudging this activity across the border. Where Santos failed to expedite certain reforms aimed at narrowing the urban-rural divide, Duque has an opportunity to start fresh. However, the political establishment is fearful that Senator Uribe is operating in the shadows and perhaps even calling the shots. Some fear a return to hard-liner policies which will only serve to further alienate the rural population and empower criminal opportunists. Failure to implement rural development programs might mean a return of violence which could lend itself to even more extremist candidates in the next presidential election. Thus, the ultimate success or failure of the historic peace agreement signed in 2016 may hinge on whether Duque lasts more than 4 years.